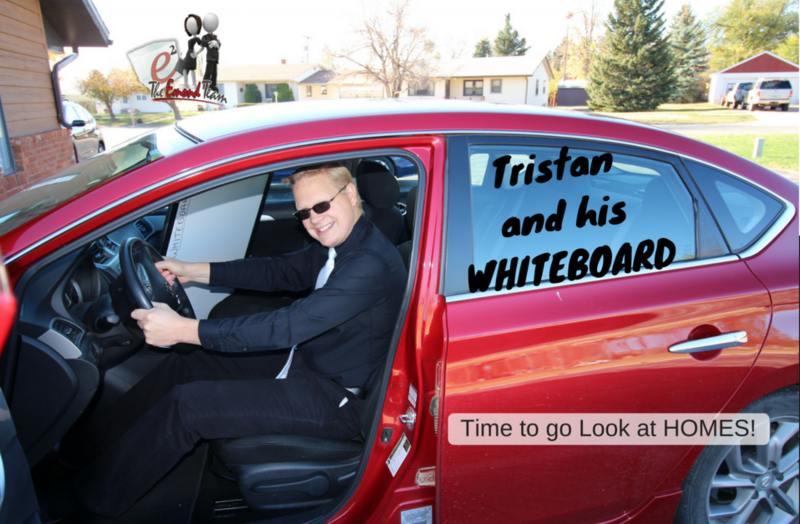 Tristan and his WHITEBOARD – LIVE! Hey Everybody! Welcome back to Tristan and his WHITEBOARD – LIVE! Productivity 101. Today, we’re talking about a little productivity tip…some things that I’ve used to help me get more stuff done in actually less time. Productivity 101 is keep your distractions at a minimum. Now obviously, no grand new idea here, but just a couple of tips that I’ve used to help me be more productive in my business and in my life. First thing we’re talking about today is Do Not Disturb. There’s a button on your phone that allows you to push that button and – you know what? Calls won’t come through. The text won’t bother you, you will not get disturbed on your phone. Why is this important? Because we’ve had things rammed our mindset that, to be successful, you must get up at five every morning and work till seven/eight o’clock at night and go, go, go, go! And while that might work for a while, you’re going to get burnt out. So, to me, you deserve time for yourself. You deserve to take time in the middle of the day and put that do not disturb on. Relax, slow down, take a deep breath. Meditate if you need to, take a nap – I love to take a nap in the middle of the day… It really just refreshes me. Puts me back in the spot. You know how it is in the middle of the day – three o’clock – you’re trying to get something done and you just keep pushing through it. It takes you all afternoon to get that done. When if all you would have done was just taken a 10-minute break, gone outside and taken a walk, put your do not disturb on, turn the lights off in the office and sleep on the floor for 10 minutes. You would have had that done in no time. Because you’ve refreshed yourself. You’ve given yourself the chance to stop and take a moment and get back on top of things. Use it. Do not disturb button. Plus, it’s great at night. I’m always laughing when some people say “Yeah, your phone call woke me up” and I was like, “Why did you respond? If you’re asleep, put the do not disturb button on! Don’t answer the phone, they can leave a message. Whether that be your voicemail notifications, your social media notifications, your text message notifications. Your Facebook post notifications. Choose how you’re going to have these notifications alert you on your phone. I turned off my email notifications. Also, I turned off my Facebook notifications. I don’t want that thing buzzing every time I get an email, a Facebook post, or a comment… I’ll be looking at my phone all day long. I won’t have a chance to sit down and get motivated into what I’m doing. There are scientific studies have been done, that once you are working on something and you get disturbed, it takes you long time (I’m sorry I didn’t look up the actual article I’ve seen it before) as far as how long it takes to get back into the groove. So, every time your phone buzzes, you look at it “ok – I’ll look at it later”…But then it’s going to take you that much longer to get back into things. Decide what notifications you need for your business, for who you are, to be notifying you. For instance, I got my text messages as buzzing. Which means that if someone is going to text message me, I feel, like that’s probably something important something I might need to look at right away. The phone calls of course, are set to come through. But my e-mails, I’ll check it every once and awhile. Facebook, I’ll get on there when I need to. The rest of the social media, I’ll get on to there and check it when I need to. Number three: A big shout out to my friend and mentor Jonathan for this tip that I’ve used. Set yourself one day – or even half a day – for a focus day. Use this day to create, to work on you personally, to work on your business. Not IN your business, but ON your business. Turn the phone off – put on do not disturb. Don’t check your email. Plan and think about what you want to do for that day. I’ve created a Facebook posts on my focus days. I’ve created blog posts. Some days, I’ve done some seminars – ‘what do you want to become’ kind of thing – get your mindset right. Those type of things. Find one day during your week – or even half day during your week. That you can set aside…let everybody know, “Don’t disturb me. I’m busy. I’m doing this thing over here.” People can leave a message. People can leave e-mails – you can get back to them later. Use this day to work on your business. To work on you. To allow that to happen. Amazing results with things you can get done. I really started looking forward to my focus days – just so I could do the things I really wanted to do. To really create some things, create my website. Do some things like that. So, here’s the three tips that I have for you to increase your productivity. Allow yourself to stop. Slow down. Focus on what you need to focus on, even if that focus on you, yourself, and you. Alright! Thanks so much for watching. Have an awesome day! Talk to you later. See you next time on Tristan and his WHITEBOARD.